President Rodrigo Duterte’s first State of the Nation Address (SONA) on Monday echoed his election campaign promises and his inaugural address — law and order, economic development, and improved government service. At the outset, Duterte pointed out that all three leaders facing Congress and the nation — Senate President Aquilino “Koko” Pimentel, House Speaker Pantaleon Alvarez and the President himself — are all from Mindanao. That is a sign of fresh efforts to address the decades-long neglect of the southern Philippine region while it tries to deal with festering armed conflicts and underdevelopment. To loud applause, the President declared a unilateral ceasefire with the New People’s Army (NPA), the armed wing of the Communist Party of the Philippines, which has been waging a 47-year-old insurgency. “I expect and call on our fellow Filipinos in the National Democratic Front and its forces to respond accordingly,” Duterte added. The NDF, the political arm of the CPP, represents the rebels in peace negotiations to end Asia’s longest-running insurgency. NDF representatives have indicated they were open to a ceasefire while holding negotiations with the Duterte government, a departure from their previous firm stand of not agreeing to a truce until a final peace deal has been signed. Formal peace talks are scheduled to resume in Oslo, Norway, next month. ALSO SEE: 911 and 8888 Emergency Numbers are Live! “We will not stop until the last drug lord, the last financier, and the last [drug] pusher have surrendered or [have been] put behind bars — or below the ground if they so wish,” he said. Duterte said his administration will create an inter-agency committee to deal with illegal drugs and integrate efforts and strengthen partnerships of all “stakeholders.” He said the armed forces will prepare military camps to be used for drug rehabilitation. Military reservists will be mobilized for an information campaign against drug use, and dissemination of information regarding the drug rehabilitation program. Duterte said the government will prioritize the rehabilitation of drug users as residential treatment and rehabilitation facilities are established all over the country. Among other things, he plans to increase coordination with Malaysia and Indonesia and strengthen the government’s counter-terrorism program by amending various laws on terrorism, terrorism financing and cyber crime. He did not specify the amendments. Duterte also stood by the Arbitral Tribunal’s decision that favored the Philippines in its arbitration against China’s claims to virtually all of the South China Sea. Duterte has appointed former President Fidel V. Ramos to stand as the country’s special envoy to China in talks over the maritime dispute. “But upon a fair and equitable equation. It must not stymie our industrialization,” he added. “We will lower personal and corporate income tax, and relax the bank secrecy law,” he said to the cheers of the people that packed the House of Representatives session hall and gallery. The President called for streamlined processes and better government services. He promised to increase train speed and the number of trains in Metro Manila as well extended operating hours. The validity of a driver’s licenses will be extended from three to five years, while passport will be made valid for 10 years from the current five. Duterte said the newly created Department of Information and Communications Technology will formulate a plan o accelerate the deployment of fiber optic cables to improve internet speed. He also said there will free WiFi in selected public places. The SONA was revised several times, according to Presidential Communications Secretary Martin Andanar. He said the SONA was personally written by Duterte, who instructed members of his Cabinet to submit their inputs to the speech, including targets and deliverables for the next six years. This year’s SONA was a change from those of Duterte’s predecessors. Among the most visible changes was the prescribed business dress code to do away with opulent attire. 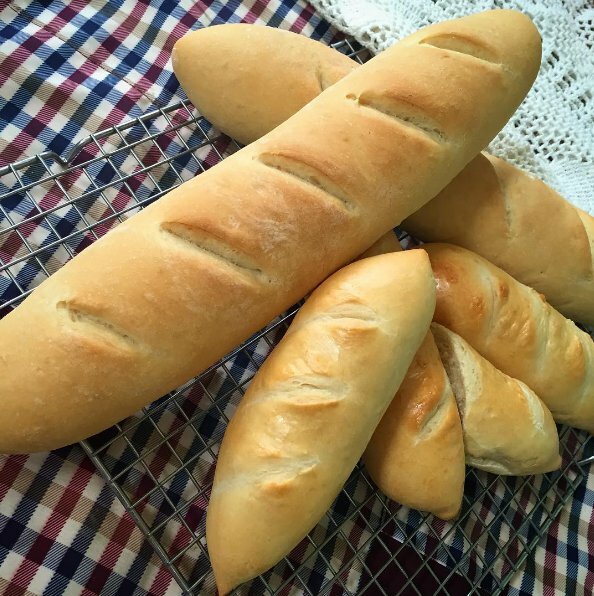 Previous articleYour Perfect French Bread Recipe! Your Perfect French Bread Recipe!